The user terminals in reciprocity-based Massive MIMO transmit two types of uplink signals: data and pilots (a.k.a. reference signals). A terminal can potentially transmit these signals using different power levels. In the book Fundamentals of Massive MIMO, the pilots are always sent with maximum power, while the data is sent with a user-specific power level that is optimized to deliver a certain per-user performance. In the book Massive MIMO networks, the uplink power levels are also optimized, but under another assumption: each user must assign the same power to pilots and data. Moreover, there is a series of research papers (e.g., Ref1, Ref2, Ref3) that treat the pilot and data powers as two separate optimization variables that can be optimized with respect to some performance metric, under a constraint on the total energy budget per transmission/coherence block. This gives the flexibility to “move” power from data to pilots for users at the cell edge, to improve the channel state information that the base station acquires and thereby the array gain that it obtains when decoding the data signals received over the antennas. In some cases, it is theoretically preferable to assign, for example, 20 dB higher power to pilots than to data. But does that make practical sense, bearing in mind that non-linear amplifiers are used and the peak-to-average-power ratio (PAPR) is then a concern? The answer depends on how the pilots and data are allocated over the time-frequency grid. 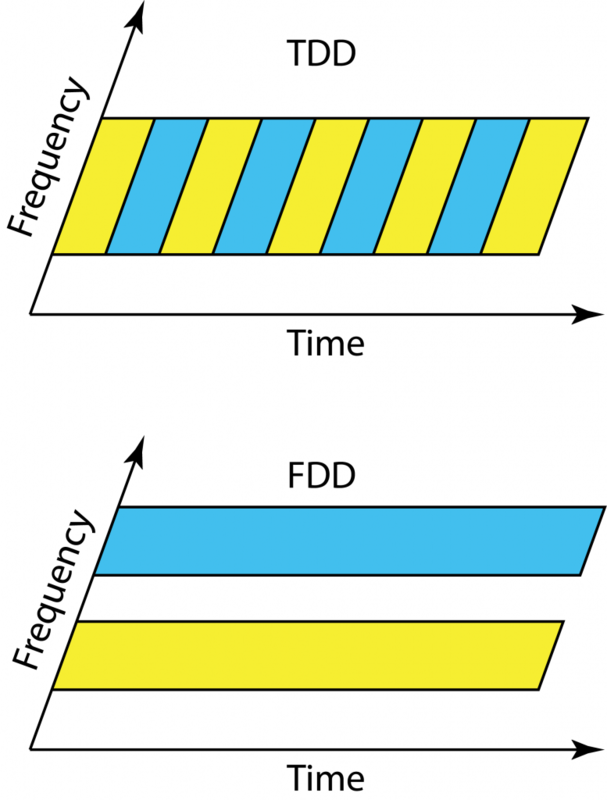 In OFDM systems, which have an inherently high PAPR, it is discouraged to have large power differences between OFDM symbols (i.e., consecutive symbols in the time domain) since this will further increase the PAPR. However, it is perfectly fine to assign the power in an unequal manner over the subcarriers. In the OFDM literature, there are two elementary ways to allocate pilots: block and comb type arrangements. These are illustrated in the figure below and some early references on the topic are Ref4, Ref5, Ref6. (a): In the block type arrangement, at a given OFDM symbol time, all subcarriers either contain pilots or data. It is then preferable for a user terminal to use the same transmit power for pilots and data, to not get a prohibitively high PAPR. This is consistent with the assumptions made in the book Massive MIMO networks. (b): In the comb type arrangement, some subcarriers always contain pilots and other subcarriers always contain data. It is then possible to assign different power to pilots and data at a user terminal. The power can be moved from pilot subcarriers to data subcarriers or vice versa, without a major impact on the PAPR. This approach enables the type of unequal pilot and data power allocations considered in Fundamentals of Massive MIMO or research papers that optimize the pilot and data powers under a total energy budget per coherence block. The downlink in LTE uses a variation of the two elementary pilot arrangements, as illustrated in (c). It is easiest described as a comb type arrangement where some pilots are omitted and replaced with data. 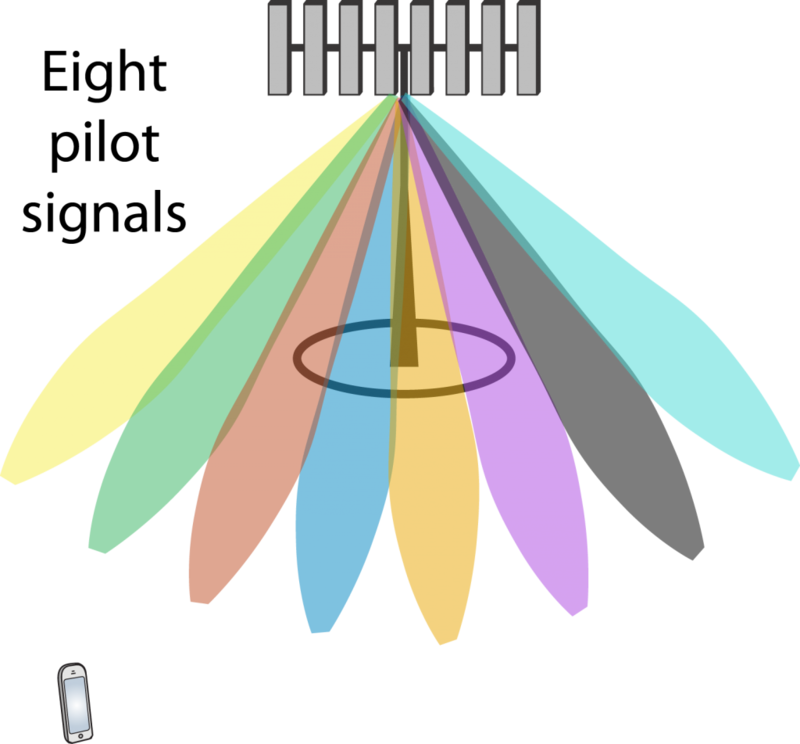 The number of omitted pilots depend on how many antenna ports are used; the more antennas, the more similar the pilot arrangement becomes to the comb type. Hence, unequal pilot and power allocation is possible in LTE but maybe not as easy to implement as described above. 5G has a more flexible frame structure but supports the same arrangements as LTE. In summary, uplink pilots and data can be transmitted at different power levels, and this flexibility can be utilized to improve the performance in Massive MIMO. It does, however, require that the pilots are arranged in practically suitable ways, such as the comb type arrangement. Pilot contamination used to be seen as the key issue with the Massive MIMO technology, but thanks to a large number of scientific papers we now know fairly well how to deal with it. I outlined the main approaches to mitigate pilot contamination in a previous blog post and since then the paper Massive MIMO has unlimited capacity has also been picked up by science news channels. When reading papers on pilot (de)contamination written by many different authors, I’ve noticed one recurrent issue: the mean-squared error (MSE) is used to measure the level of pilot contamination. A few papers only plot the MSE, while most papers contain multiple MSE plots and then one or two plots with bit-error-rates or achievable rates. As I will explain below, the MSE is a rather poor measure of pilot contamination since it cannot distinguish between noise and pilot contamination. Suppose the desired uplink signal is received with power and is disturbed by noise with power and interference from another user with power . By varying the variable between 0 and 1 in this simple example, we can study how the performance changes when moving power from the noise to the interference, and vice versa. which is independent of and, hence, does not care about whether the disturbance comes from noise or interference. This is rather intuitive since both the noise and interference are additive i.i.d. Gaussian random variables in this example. The important difference appears in the data transmission phase, where the noise takes a new independent realization and the interference is strongly correlated with the interference in the pilot phase, because it is the product of a new scalar signal and the same channel vector. where is the number of antennas. For any given MSE value, it now matters how it was generated, because the SINR is a decreasing function of . The term is due to pilot contamination (it is often called coherent interference) and is proportional to the interference power . When the number of antennas is large, it is far better to have more noise during the pilot transmission than more interference! Since the MSE cannot separate noise from interference, we should not try to measure the effectiveness of a “pilot decontamination” algorithm by considering the MSE. An algorithm that achieves a low MSE can potentially be mitigating the noise, leaving the interference unaffected. If that is the case, the pilot contamination term will remain. The MSE has been used far too often when evaluating pilot decontamination algorithms, and a few papers (I found three while writing this post) did only consider the MSE, which opens the door for questioning their conclusions. The right methodology is to compute the SINR (or some other performance indicator in the data phase) with the proposed pilot decontamination algorithm and with competing algorithms. In that case, we can be sure that the full impact of the pilot contamination is taken into account. LTE was designed to work equally well in time-division duplex (TDD) and frequency division duplex (FDD) mode, so that operators could choose their mode of operation depending on their spectrum licenses. 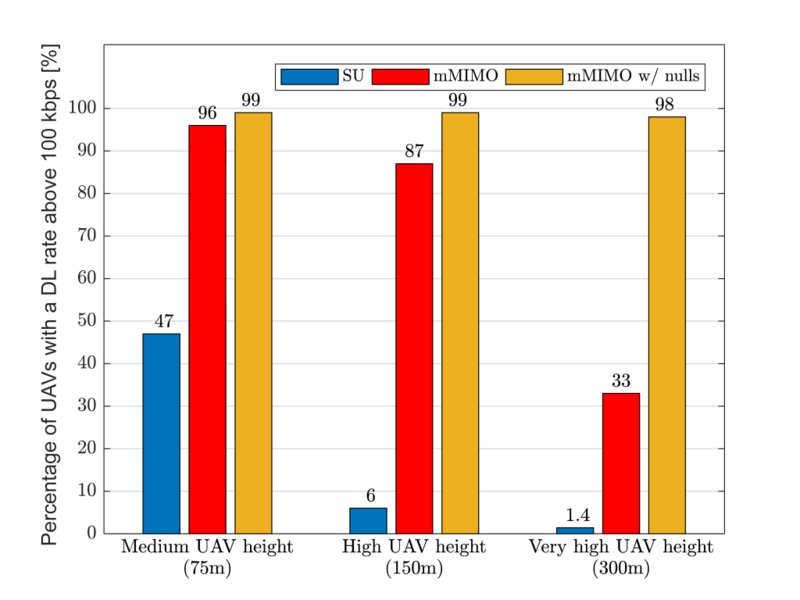 In contrast, Massive MIMO clearly works at its best in TDD, since the pilot overhead is prohibitive in FDD (even if there are some potential solutions that partially overcome this issue). 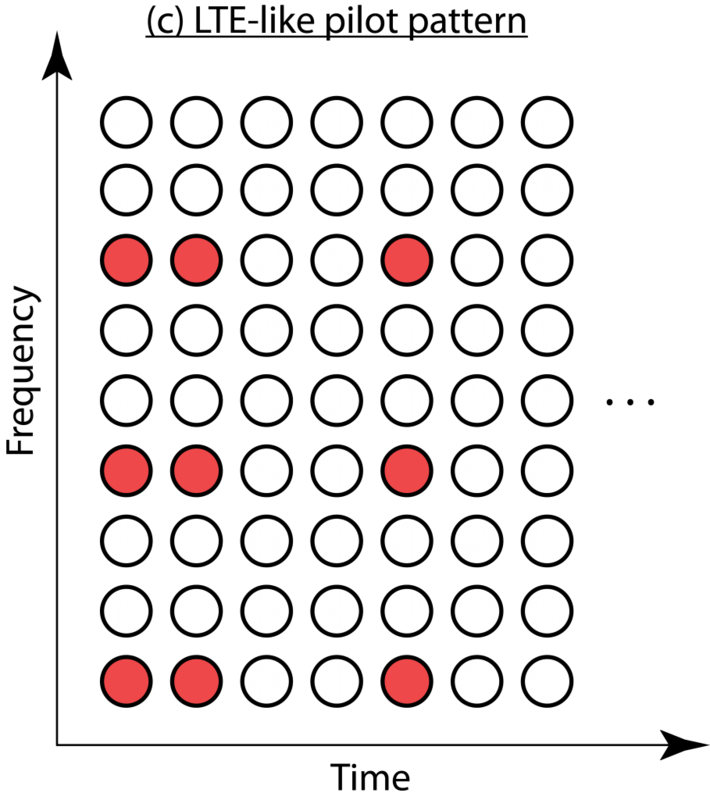 Clearly, we will see a larger focus on TDD in future networks, but there are some traditional disadvantages with TDD that we need to bear in mind when designing these networks. I describe the three main ones below. Even if we allocate the same amount of time-frequency resources to uplink and downlink in TDD and FDD operation, there is an important difference. We transmit over half the bandwidth all the time in FDD, while we transmit over the whole bandwidth half of the time in TDD. Since the power amplifier is only active half of the time, if the peak power is the same, the average radiated power is effectively cut in half. This means that the SNR is 3 dB lower in TDD than in FDD, when transmitting at maximum peak power. Massive MIMO systems are generally interference-limited and uses power control to assign a reduced transmit power to most users, thus the impact of the 3 dB SNR loss at maximum peak power is immaterial in many cases. However, there will always be some unfortunate low-SNR users (e.g., at the cell edge) that would like to communicate at maximum peak power in both uplink and downlink, and therefore suffer from the 3 dB SNR loss. If these users are still able to connect to the base station, the beamforming gain provided by Massive MIMO will probably more than compensate for the loss in link budget as compared single-antenna systems. One can discuss if it should be the peak power or average radiated power that is constrained in practice. Everyone in the cell should operate in uplink and downlink mode at the same time in TDD. Since the users are at different distances from the base station and have different delay spreads, they will receive the end of the downlink transmission block at different time instances. If a cell center user starts to transmit in the uplink immediately after receiving the full downlink block, then users at the cell edge will receive a combination of the delayed downlink transmission and the cell center users’ uplink transmissions. To avoid such uplink-downlink interference, there is a guard period in TDD so that all users wait with uplink transmission until the outmost users are done with the downlink. In fact, the base station gives every user a timing bias to make sure that when the uplink commences, the users’ uplink signals are received in a time-synchronized fashion at the base station. Therefore, the outmost users will start transmitting in the uplink before the cell center users. Thanks to this feature, the largest guard period is needed when switching from downlink to uplink, while the uplink to downlink switching period can be short. This is positive for Massive MIMO operation since we want to use uplink CSI in the next downlink block, but not the other way around. 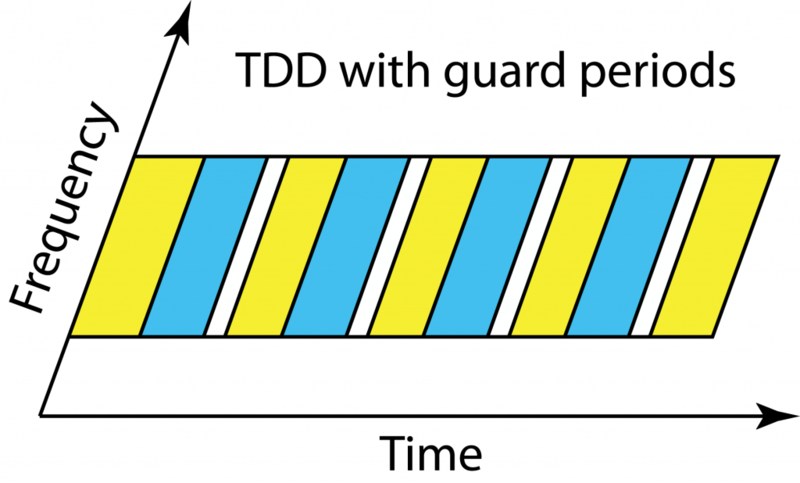 The guard period in TDD must become larger when the cell size increases, meaning that a larger fraction of the transmission resources disappears. Since no guard periods are needed in FDD, the largest benefits of TDD will be seen in urban scenarios where the macro cells have a radius of a few hundred meters and the delay spread is short. We want to avoid interference between uplink and downlink within a cell and the same thing applies for the inter-cell interference. 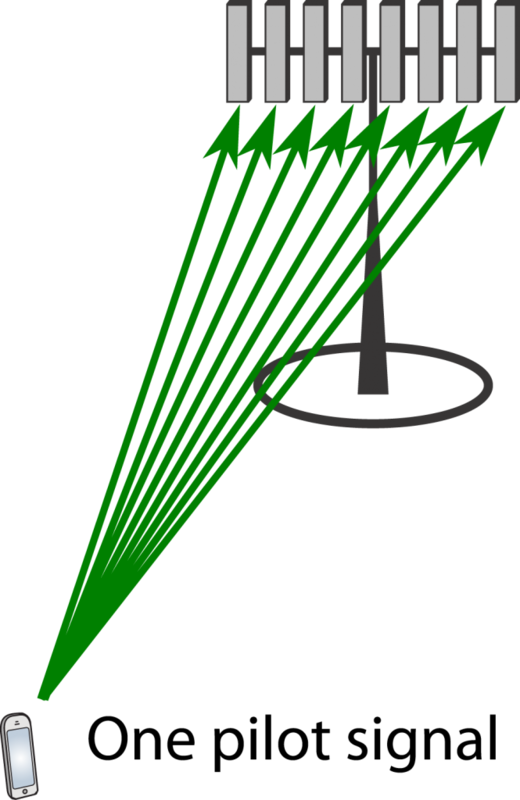 The base stations in different cells should be fairly time-synchronized so that the uplink and downlink take place at the same time; otherwise, it might happen that a cell-edge user receives a downlink signal from its own base station and is interfered by the uplink transmission from a neighboring user that connects to another base station. This can also be an issue between telecom operators that use neighboring frequency bands. There are strict regulations on the permitted out-of-band radiation, but the out-of-band interference can anyway be larger than the desired inband signal if the interferer is very close to the receiving inband user. Hence, it is preferred that the telecom operators are also synchronizing their switching between uplink and downlink. 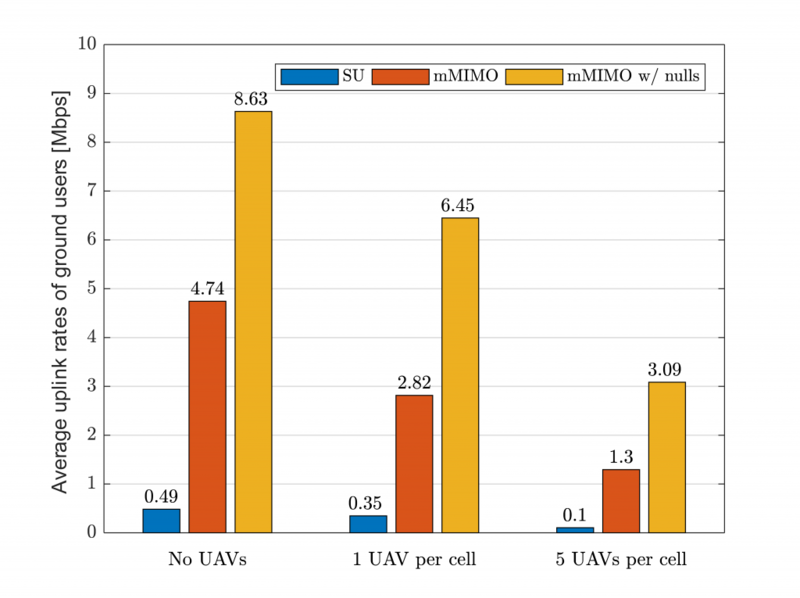 Massive MIMO will bring great gains in spectral efficiency in future cellular networks, but we should not forget about the traditional disadvantages of TDD operation: 3 dB loss in SNR at peak power transmission, larger guard periods in larger cells, and time synchronization between neighboring base stations.